Located at the ideal training altitude, ranging between 1,250 and 1,450 metres (4,200 to 4,800 feet) above sea level, Hanna Creek features a 4km groomed loop trail, selection of 9m wide competition trails and 25 shooting lanes located under the surrounding Monashee Mountains. 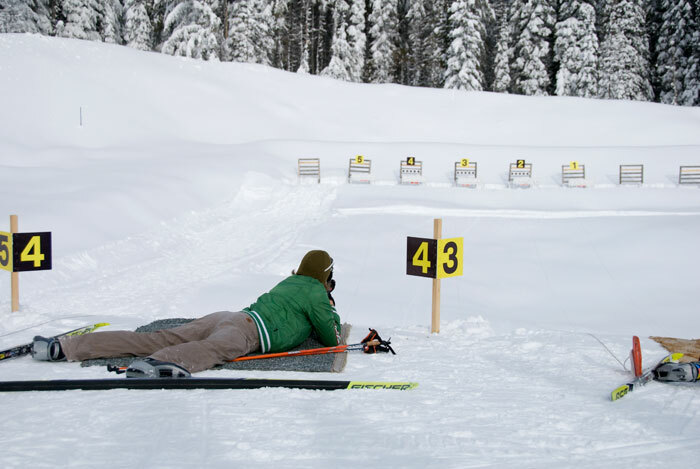 Opened in 2006 to host the BC Winter Games, the range underwent an expansion to bring it up to National Team standards including lengthening the trail loop to 5km and increasing the shooting lanes from 15 to 25, and purchasing new certified targets and mats with continual grooming possible. 12 km from downtown Rossland, Hanna Creek is a 15 minute drive from Rossland and located 8 km from the Black Jack Nordic Club and 20 km from the Castlegar Nordic Club. The Nordic ski destination is only a twenty minute drive north of the Canada/US Border, a 2.5 hour drive from Spokane International Airport (Washington State) and 3.5 hour drive from Kelowna International Airport. Red is easily accessible from major airports from both Canada and the United States. The Trail regional airport is a 20 minute drive, and Castlegar regional airport is a 30 minute drive.